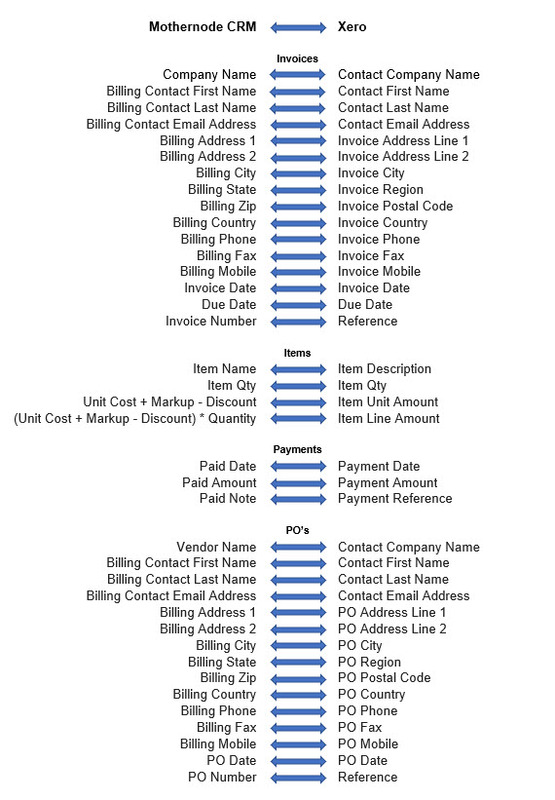 Invoice, Item, Payment, and Purchase Order data can be communicated between Mothernode CRM and Xero using Xero’s API. A Mothernode Enterprise CRM Subscription and a Xero Online account are required. Click here for instructions on how to connect Mothernode CRM and Xero.